While decorating the mantle with our collection of stocking holders, I realized that we no longer had stockings for our pups. Some how they went missing! 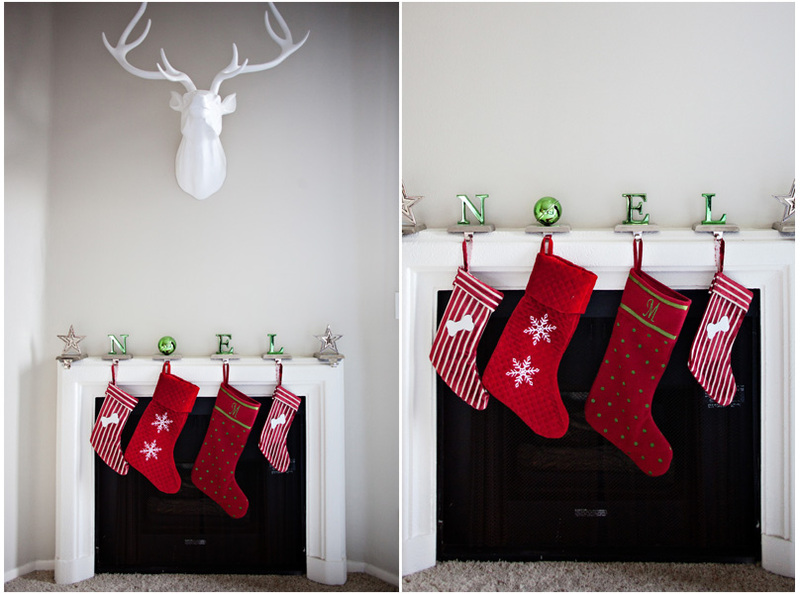 And some how we ended up with 6 stocking holders! Probably got lost during one of our moves. Luckily I had some fabric that I picked up at Mood’s discount remnant bin for $10. You can use left over fabric, sweat shirts, denim, or whatever else you may have. Since my sewing machine is still at my mom’s house in Florida, I had to use one of my favorite no-sew products – Heat ‘n Bond. You basically use this anywhere that you would place a stitch. Make sure you heat it enough for the tape to melt and let it cool for a strong bond. I burned my fingers about 7 times but I was completely enthralled with the Real Housewives of Atlanta and not paying attention. It’s pretty much safe. I promise. 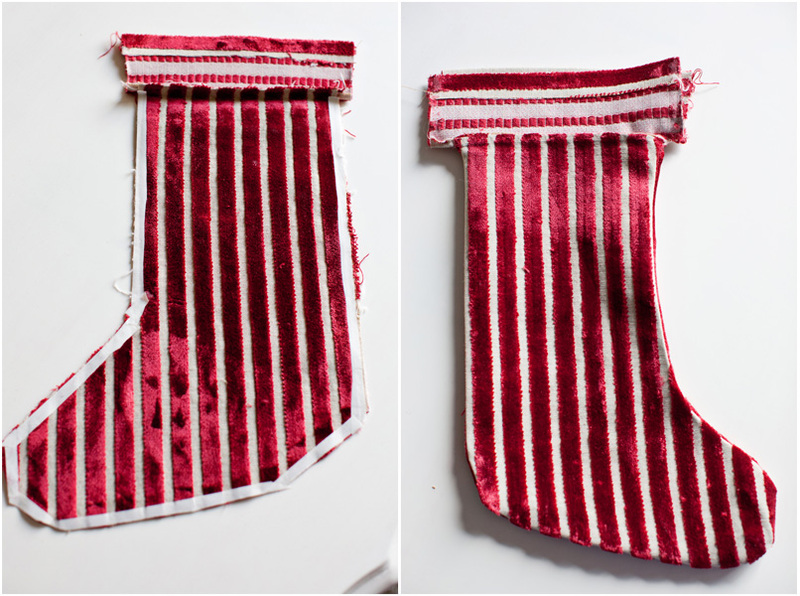 Here’s how I did these pup stockings. Trace and cut out your stocking shape. Make sure you cut out 2 opposite sides for each stocking. First, I attached the piece of fabric that would be the cuff of the stocking. 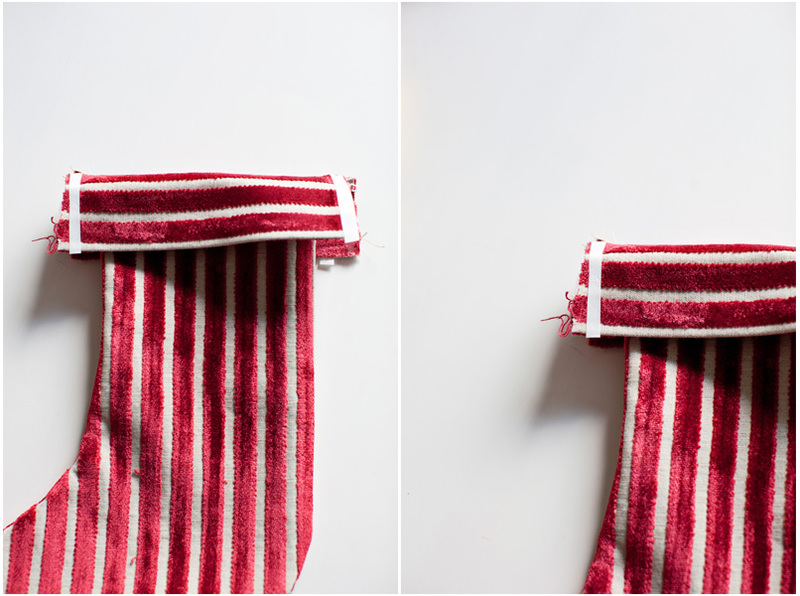 Since I wanted the stripes to go in a different direction, I attached it separately. Otherwise, you can just fold your stocking top into a cuff. Then I placed the Heat ‘n Bond around the edges of the stocking. Place the opposite side over the top with matching sides facing each other and iron. It’s important to make sure you’re working with everything inside out so when you turn it back right-side out it’ll have finished edges. Just like sewing. Do the cuff the same way. After it’s cooled, fold it over to make the cuff. Since these are for my dogs, I wanted to put a decoration to identify who they belong to. I decided to use a bone (because I’m so original). To get the right bone shape I traced a cookie cutter onto a piece of scrap fabric. Trace on the back of the fabric so you don’t have to worry about pen marks showing after you cut. 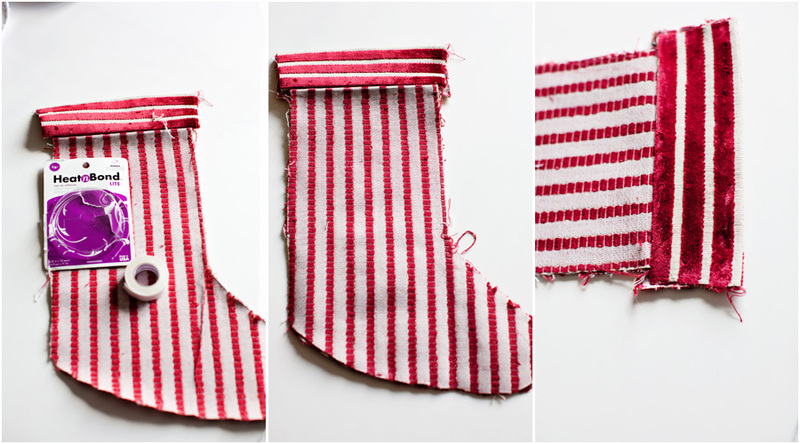 Use a piece of Heat’n Bond to attach the cutout to the stocking. 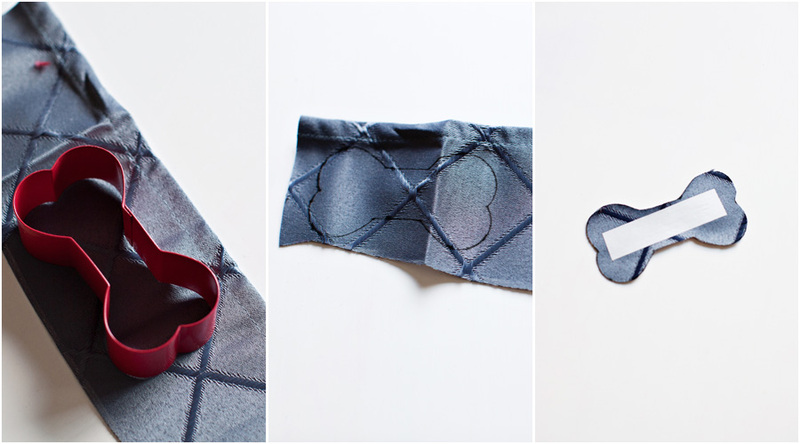 Lastly, attach a loop of fabric as your hanger. Here they are! 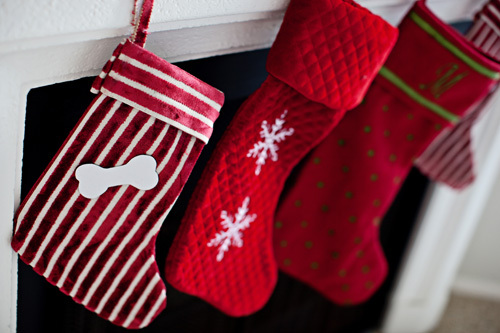 Stockings for everyone in the family!